As any developer will tell you, building an apartment development is easier with concrete than with bricks. As any developer will tell you, building an apartment development is easier with concrete than with bricks. It’s faster, cheaper and means you can pre-fabricate huge pieces of your project off-site to be delivered when needed. But there are many architects who still include brickwork in their apartment designs, for a number of reasons – let’s take a look. There’s something about brick that most people respond to. We think of it as more of a traditional construction material, and so we associate bricks with a sense of homeliness. Architects sometimes use bricks – even if it’s only at street level – to evoke this feeling of an established, familiar type of home building instead of concrete which, to some, has more of a connection with commercial buildings than residential ones. 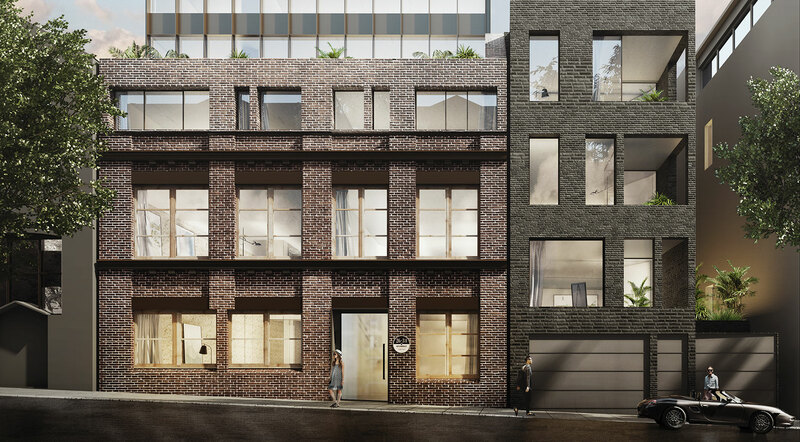 If a development site in a street full of older, brick-built structures, a purely concrete-formed building won’t exactly fit in with its neighbours. Sometimes, a developer wants their apartment project to fit perfectly into an established streetscape without anyone realising it’s there. Ensuring its street-level appearance matches its surroundings is the most effective way of achieving this. There are also occasions where this assimilation into an established street appearance is required for building approval from council, particularly in heritage areas. Many architects utilise bricks for the facades of their buildings to add character through patterns and colours. When so many apartments have a flat, concrete appearance, architects briefed with creating something a little more striking can add this using bricks. They come in all shades and materials, from the old clinker bricks to classic red bricks to subway-style ceramic finished feature bricks. They provide a far more diverse and colourful palette for an architect to choose from.